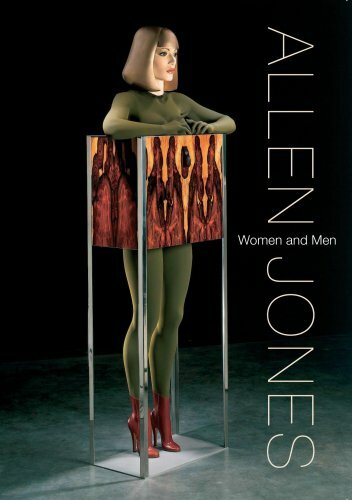 Allen Jones has produced some of the most startling and zestful images of the past five decades. His is a world of iconic women done up to the nines, immaculately seductive, a world in which glamour is a given, where roles switch to the beat and passions flower in searing colour. Jones seems to live a double life, on the one hand being a quiet pillar of the cultural establishment at the British Museum or the Royal Academy of Arts, but on the other his iconic sculptural works have stirred up such extreme reactions that his piece “Chair” was almost destroyed for ever when attackers threw acid over it at Tate Britain. His work, be it painting, sculpture or print has in turn; ushered in the British Pop Art movement of the late fifties; challenged Warhol and Lichtenstein on their home turf in New York; been the target of Feminist anger in the 1970’s, and has developed into a mature style which delights collectors and gallery goers around the world. However the man and his methods remain a mystery; this film explores the artist and his work with help from his only sitter Prima Ballerina Darcey Bussell, his wife Deirdre Morrow, artist Gary Hume and, of course, Allen Jones himself.